Few would argue that Silicon Valley is the center of the tech universe. This is no doubt based on the innovative products and platforms that were born there. What is the secret to launching these brands, products, platforms, and services? PR? Advertising? Digital? All have surely played a significant role. But I’ll bet “brand experiences” or “events” didn’t spring to mind. There is clearly a correlation between well-executed brand experiences and brand success. I should note that there’s a difference between the overall “customer experience” or the “user interface” many software firms rely heavily upon, and a true brand experience. While “brand experience” is a broad term, what I’m referring to are those physical interactions, often in the form of an event, pop up, sponsorship, etc., that enable a brand to interact with its customers. We call it experiential marketing. Think about it for just a moment and you will quickly realize the list of experiential use by tech firms is long and dates back a couple of decades. From Apple’s famous product launches to Salesforce’s annual Dreamforce event, the Bay Area is filled with marketing leaders who understand the power of brand experiences, and the role events play at the core of their marketing strategy. In his book Behind the Cloud, Salesforce CEO Mark Benioff outlines the importance of using events/experiences in building Salesforce –where “the event is the message.” He’s a firm believer that there is no better way to build emotional connections between brands and people than through high-impact, well-designed, and professionally produced events that effectively represent the brand today, while positioning it for the future. And it’s worked. 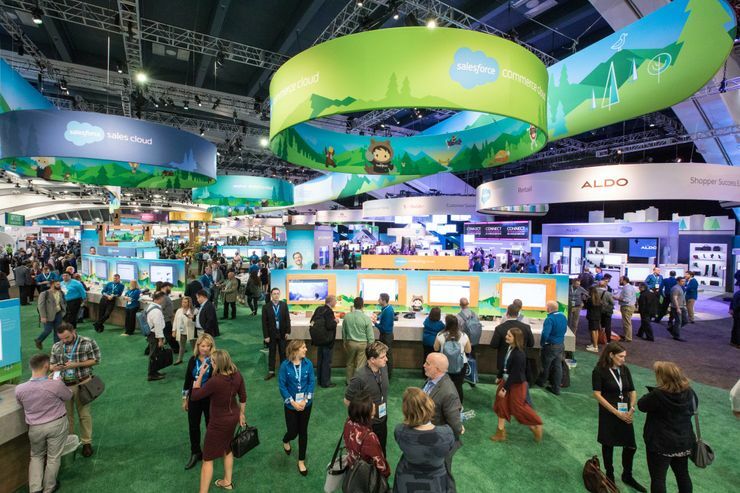 Dreamforce is known as the “Coachella of IT” with attendance rocketing from 9,000 just seven years ago to 170K registrants in 2016. 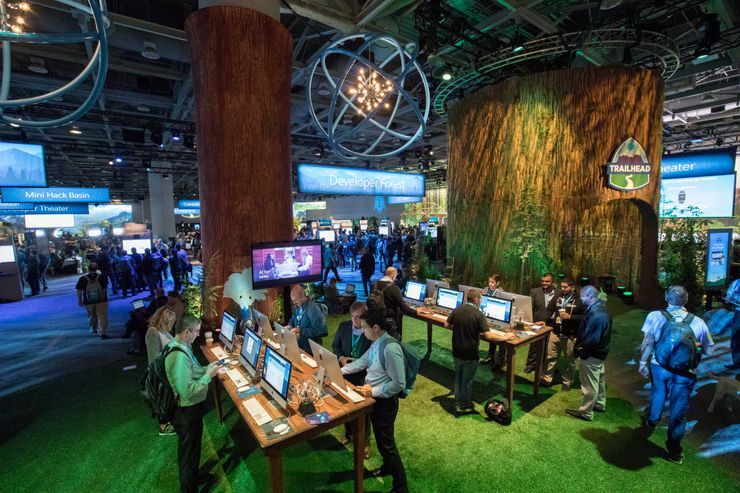 One interesting note is that recently the show, Silicon Valley, used Dreamforce – with some changes to the branding – as the model for its fictitious company event. Even Hollywood understands the importance of this type of marketing. It is not by mistake, regardless of company size, that face-to-face experiences power the Valley. Because so many of the products and solutions produced in this innovation hotbed are digital in nature, the need to get people together to feel the brand, experience the momentum, and learn from visionaries (and each other) is vital. Frankly, if these experiences didn’t elevate brands and drive tangible results, my agency, George P. Johnson (GPJ), wouldn’t have client relationships that stretch over decades (and we have many that do). Perhaps even more indicative of the role that experiences play for leading marketers is the significant way in which traditional advertising agencies are attempting to do experiential work. Their share of the marketing pie is shrinking, so they’re trying to enter the market that’s growing. That’s a smart, if predictable, business move. The realities of producing experiences, however, are very challenging for newcomers. My advice: buyer beware. But I digress. Let’s get back to the why and the how of experiential. For example, we’ve been working with IBM for a couple of decades now. GPJ manages a global portfolio of events and experiences for the tech giant that number in the thousands. 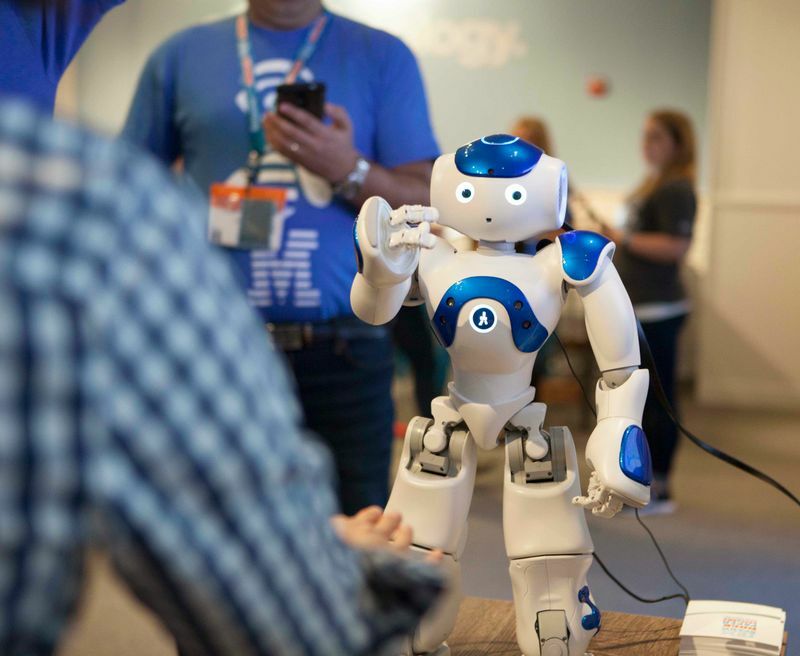 As IBM continues its transition from a large hardware company to a true pioneer in artificial intelligence, it sees the value in many thousands of events to showcase, in a visceral way, the value proposition and the potential of its Watson technology. IBM uses its activations to show Watson working its wonders, from beating chess players, to creating custom beverages based on personality types. No other form of marketing can do this for them. A strong management team, great products or solutions, and proper financing are what we often hear about when chatting with a VC or studying successful Silicon Valley companies. But, based on my 25-year career in building brand experiences for many of the Valley’s top brands, a proper experiential portfolio is often the behind-the-scenes secret sauce. There’s even anecdotal evidence that well-run, large brand experiences can have an immediate and significant positive impact on a company’s share price. 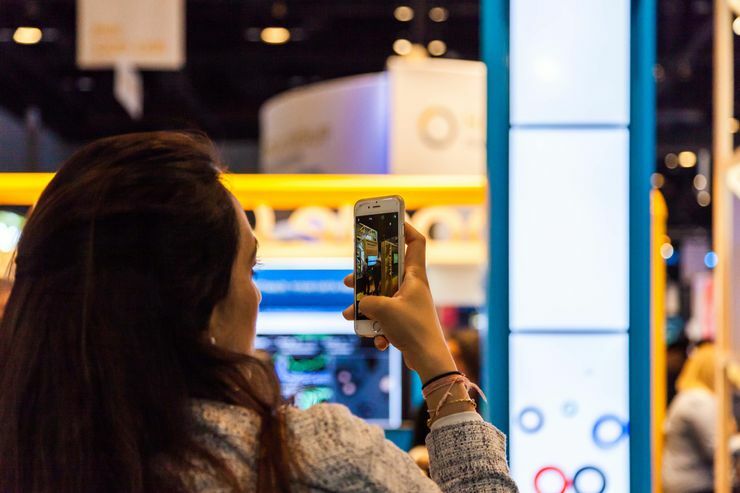 Our legacy client Cisco has long had a very sophisticated approach to events, both external and internal. The company has created an ecosystem that combines very smart internal personnel working with trusted agencies to drive real value each year. While its external Cisco Live! 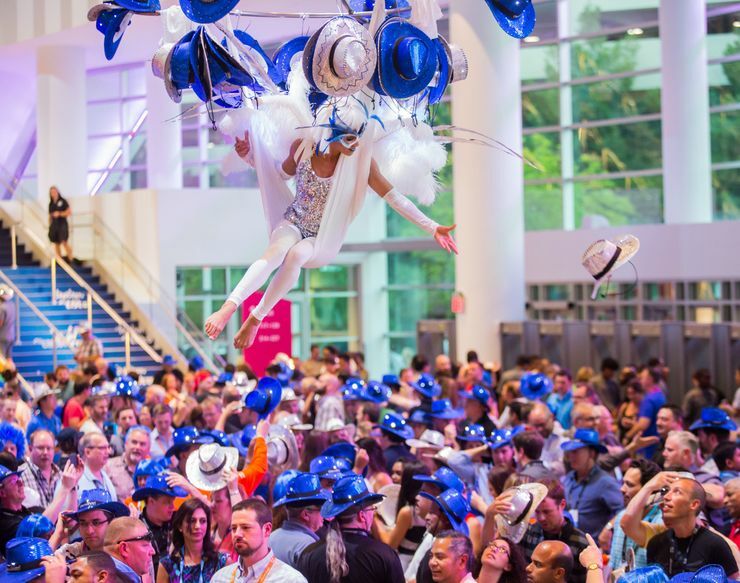 event is well known as a wildly successful revenue generator and brand enhancer, its internal sales event, GSX, is equally successful in rallying the team, building confidence, and creating an atmosphere of enthusiasm. Like all good experiential marketing, this is measured and reported. The stats don’t lie. And, it’s not just tech companies that are realizing the value of the brand experience. In the Bay Area and around the world, retailers, sports franchises, food and beverage companies, and others are taking the opportunity to design and execute curated experiences to connect with consumers. The new Levi’s Stadium for the San Francisco 49ers is a perfect example, with prime end zone real estate transformed into shareable and interactive brand experiences for both Bud Light and Pepsi. I could go on, of course. Companies as different as Tesla, Charles Schwab, Oracle, and Rodan+Fields all use experiences to drive home key messages, create relationships with customers, establish emotional bonds with their brands, and educate various constituencies. Experiential marketing is a voluntary, non-interruptive, participatory, and shareable tool that these brands use to great effect. • Building human connections with a brand is critical to success and thus, well-designed and delivered events and experiences should be core to any brand’s marketing strategy. • Those brands that have implemented effective brand experiences at the core of their corporate (note that we’re talking about corporate not just marketing) strategy have dominated Silicon Valley. • Each experience delivered is the message and, in many cases, is the brand. Customer experience is about all of the touch points with a customer, and properly executed events are the best way to control a key touch point by crafting every interaction to align with the brand. • Experiences allow an organization to “punch above its weight” by creating an environment that draws attention to target audiences (press, analysts, investors, customers, prospects, etc.) and deliver an environment to truly develop a relationship with the brand and the people representing it. The brands that understand the power of this vehicle and invest in getting it right simply scale faster. Given the significant year-over-year growth we’re seeing in our space, the accelerating ascendancy of experiential marketing is clearly going to continue. I see a couple of trends coming. First, more and more brands will invest heavily in this form of marketing as “traditional” means of communication continue to lose importance and effectiveness. There are simply too many ways to ignore advertising and digital marketing. Second, marketing experiences are going to become even more elaborate than they are now. The levels of “showmanship” and production are going to increase because marketing leaders now see the measureable value of the captive, voluntary audience that participates in these events. It’s a unique opportunity to enhance your brand, and smart marketers want to take full advantage of this to surprise and delight their target market. Whatever experiential agency you choose to work with, the incredible power of experiences and its growing influence in the marketing mix cannot be denied. You should consider the pioneering brands of Silicon Valley, their rapid rises to prominence, and the role that events have played in that ascent.